When I was in Hong Kong, I found a lot of Studio Ghibli's plushies. One of the most recent series is PONYO ON THE CLIFF BY THE SEA. For some of you readers who have not heard of Ponyo yet, Disney will be releasing the English version of the movie, PONYO coming August. So watch out for it. 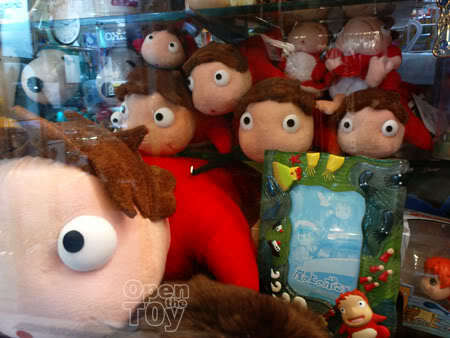 Anyway in Hong Kong, Ponyo toys are all over the place. Whenever I look at PONYO, it's cute song just kept playing in my head. Something I learned there was not all the toys I see are original. So shopper need to be extra careful. I love Studio Ghibli's anime. My favorites are Totoro and Spirited Away. It rather hard to find some official product of it in Singapore and I found and get this guy from Hong Kong. This is the Susa-ataris. 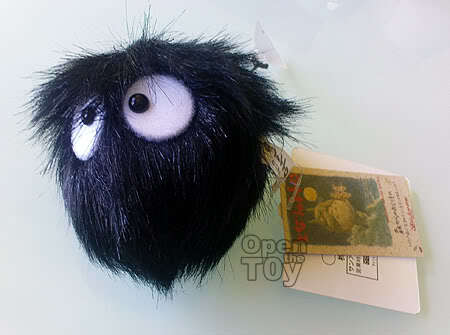 Susa-ataris are little black creatures which live in quiet and dark places. 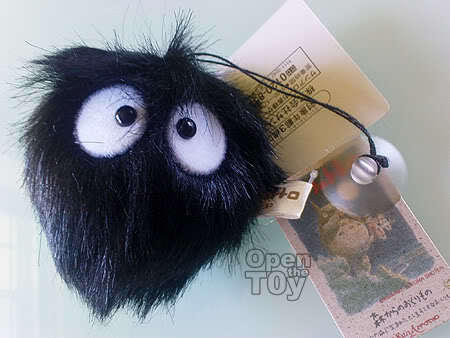 The toy come with a suction that allow you to stick it and hang it on a glass panel. I remember seeing them in Totoro and Spirited Away. As there are many "replicates" around, it took me sometime to check out if it is original one. 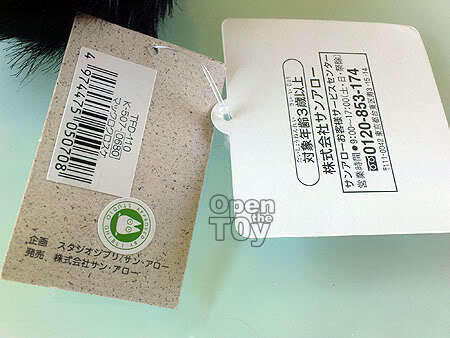 So I check the tag that comes with the toys. you mean ... "ponyo ponyo ponyo sakana no ko... aoi umi kara yatte kita... "
hehehe. it's a cute song and a really light hearted film. Vibrant colors too! Thanks for clarification. 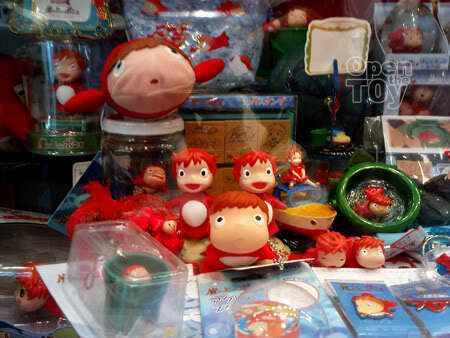 :) You are ponyo fan? Yes Ponyo is cute. Wait for Disney release. 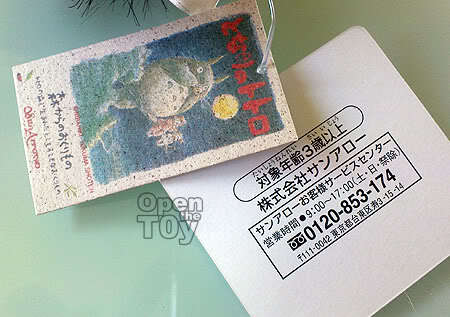 Can bring my daughter to watch Ponyo Ponyo again in cinema. This time in English. Yeah! I didn't know about Ponyo, but I loved Totoro and Spirited Away. Going to check out if I can find Ponyo this weekend. Love that plush doll too! Thanks. You and I have a lot in common bro. Howls moving castle is nice too. :) You will sure like Ponyo. It very childlike.